It’s been fascinating to watch the revival of the big Burgundian negociants. 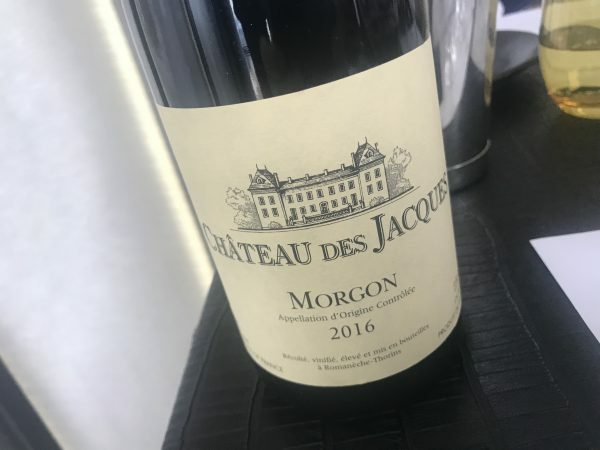 Historically, names like Faiveley, Chanson and Louis Jadot have been treated with a certain disdain here in Australia, tagged as ‘just negociant wines’. That’s likely because we’ve historically seen see more big volume lines, rather than the more interesting, often Estate-sourced wines. Though it’s also a reflection of some very patchy quality in the past too (particularly at Bourgogne level). Now, however, many of these old houses have been reinvented. The tradition is still there, but the polish of modern wine production has resulted in a standard that is better than ever before. Yet we still don’t get to see enough of the best negociant wines. 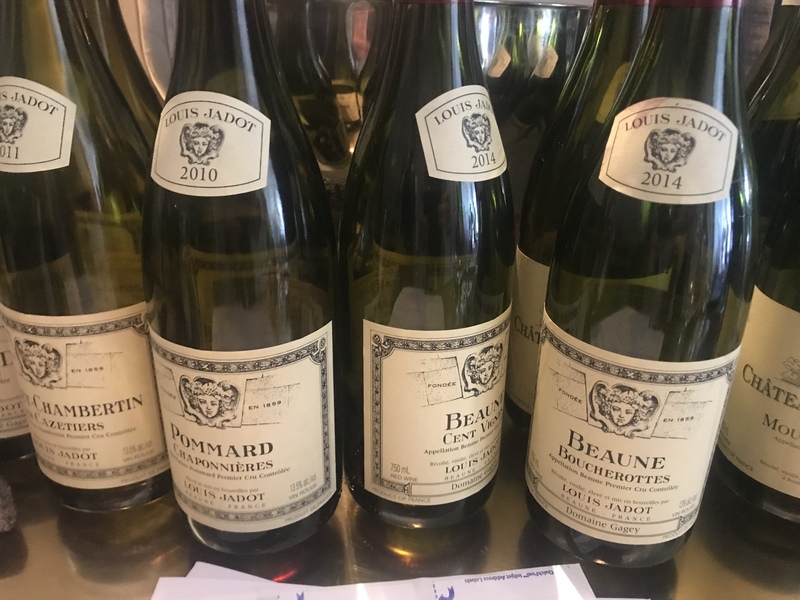 It was a pleasure then to dive into an extended look at the range of Louis Jadot a month or so back Export Director Sigfried Pic to finally see what is in the portfolio. A taste of just some of the wines sourced from growers and the 60ha of vineyard. A reminder of what’s out there, from a negociant and vigneron that dates back to the 1850s (the vineyards under family ownership for even longer). As you can tell by the notes this was a rapid pace masterclass and I had to bail early, so the notes are a bit rushed (as a caveat). But even in a hurry you could see plenty of enjoyable and quite classic wines in the mix, if not quite the superstars. Notes are as written on the day. Extra contextual bits in italics. This bracket was solid, if not life-changing. While 2017 was a small vintage, Pic was enthusiastic about 2018. ‘Finally a big crop and with minimal sorting required’.This sees no oak, just stainless steel. Immediately recognisable as Chablis, with lemon curd kerb grapefruit. It’s even quite broad initially, but the back end grapefruit is all freshness aplenty. Quintessential Petit Chablis and quite refreshing if a simple drinking wine. 17/20, 90/100. A broader focus, with more lemon butter. If anything it’s more Chardonnay than Chablis. Lots of lemon here giving a lovely citrus tang. Maybe a little imprecise? Again, enjoyable essential Chablis simplicity. 17.5/20, 91/100. On 2016 Pic describes how there was ‘quite a lot of spring frost. Small vintage in size’. Quite a notable oak character here. Vanilla bean cream over a round and mouth filling palate. Chablis or white Burgundy? Extra layers of flavour make this a winner, but I want sharper lines – it’s too Chardonnay. A toss up whether this or the AC Chablis it more enjoyable now. 17.5/20, 91/100. Again obvious oak character – a hint of custard. It’s citrussy and firm by contrast to the Fourchaume. Oak tannins are just a little distracting. There’s clearly layers here, but for the moment it’s just oak hitting reasonably ripe fruit and acidity. Don’t drink it now! Clear quality underneath. 18/20, 93/100+. For mine, this was the highlight of the tasting. A reminder that Beaujolais provides not just joyous wines but great value joyous wines. Minimal carbonic maceration, this comes from the Rhône and Saône-et-Loire (Lantigné, Lancié and Régnié). Very young. Furry purple berry juice with lusciousnsss and then fine tannins. This is such a pretty wine without falling into fatness. Really quite delicious simple drink. Essence of Beaujolais, and yet it’s not a simple wine at all – there’s more than just bright fruit. An extra intensity. Just a lovely wine. 17.5/20, 91/100. Jadot bought this plot in 2001. Very much a Burgundian Beaujolais, with more dark fruit rather than pretty red fruit and with a backward firmness. It’s licoricey and almost Nebbiolo-esque without the tannins. You could be in cool climate Victoria. This is such an impressive Gamay! Maybe a little light on the tannins. Old volcanic soils here apparently. Another delight and less than $50 retail. Will perhaps be even better in 12 months time. 17.7/20, 92/100+. Firm and only lifted by blackcurrant fruit it’s very savoury, smoky and with a real complexity. It’s hard to place this – again there’s pangs of Nebbiolo. This Moulin feels a little more blackcurrant generous but with more ferrous tannins compared to the Morgon above. The overall effect is seriously exciting. A Beaujolais to convert Pinot drinkers. Outstanding drink and $60 retail 18.5/20, 94/100. ‘The plot within the appellation that has the juiciest texture’ says Pic. Riper, blacker and more ambitious but also with a suggestion of heat and width. It’s a wine of substance, and more structure than its siblings but almost too serious and ripe rather than beauty. I find it a little bit too punchy. But so ambitious! And such intensity. 17.7/20, 92/100. 2014 red Burgundy with all its eccentricity (and variability). From a vineyard at the northern end of Beaune. with lots of clay making for more powerful reds. Autumnal and maturing quite, but with dry tannins and alcohol to finish. Lots of leaf littler complexity but lacking some body to pull it all off. Not bad, but I didn’t quite enjoy. 16.8/20, 89/100. Above the city, this plot divides the northern Premier Crus from the southern ones. A 1.2ha plot. By contrast, this feels more classical. A little glacé fruit, the tannins have more meaty richness here and even with a hint of bacon bits. Tannins are still rather firm and there is hints of overripeness. Maturing quickly but provides classic Burg flavour. 17.5/20, 91/100. From 2.5ha plot bordering Pommard. Deep clay soil. Tomato leaf, redcurrant and ruby fruit. It’s quite open and ripe, with gamy development edges. A more classical interpretation and none of the sharper ferrous edges. Enjoyable and curiously the same price as the other wines, even though it tastes superior. (circa $120-$130 RRP). 17.7/20, 92/100. A walled section of the 1er Cru Vignes Franches purchased by Louis Jadot in 1826. A low altitude site with marly soil, limestone and clay. Grand Cru like levels of intensity. Still autumnal and developed for what is just a 4yr old. Plusher and riper than any other wine in this flight tho. Plush middle, real tannins. This feels so expansive through the mid palate. Fine tannins. The whole kit and kaboodle. Lovely Burgundy (and so it should be for $180+). 18.5/20, 94/100. Definitely more fun than the 2014. Luscious red glacé fruit. It’s a little bit too full, perhaps, but a really obviously attractive red fruited style. Very likeable and flattering if not profound. 17.7/20, 92/100. From a plot bordering Clos Saint Jacques and at the same altitude as Chambertin. Secondary nose but holding together nicely. A whiff of leaf litter. A little smoky and leathery. A beautifully seamless palate with an expanse of red fruit. Super smooth and so shapely. Is it too meaty? Classy wine, even if it feels a little leathery at the edges. 18/20, 93/100. From a plot in the heart of Pommard. Lovely. A perfect drink now, the fruit soft and plateauing, the red raspberry starting to dip into liquer earthen fruit. A little whiff of peppercorn. Another lovely expanse of red fruit. I like it right now. 18.5/20, 94/100. A very old vineyard that once belonged to the Vergy church of Saint Denis. Bricking edges. Absolutely an aged wine with roast lamb and just starting to head towards Bonox development. At something of a peak for my tastes, there’s obvious latent power that feels a step up after the 1er Cru styles. But is it more delicious or profound? Perhaps not, though this could be a vintage challenge also. Regardless, nice wine, if not superhuman (I enjoyed the Pommard more). 18/20, 93/100.